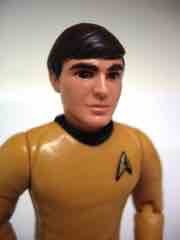 Walter Koenig's Chekov is frequently misspelled, and often placed as a mainstay of the entire series. Not true! The young Russian ensign didn't show his face until season two of the original series, and never met Khan on-camera until the second Trek film which includes a line where the two obviously recognize one another. But enough about that, how's this figure from 1992 that you probably didn't buy? Pretty great! 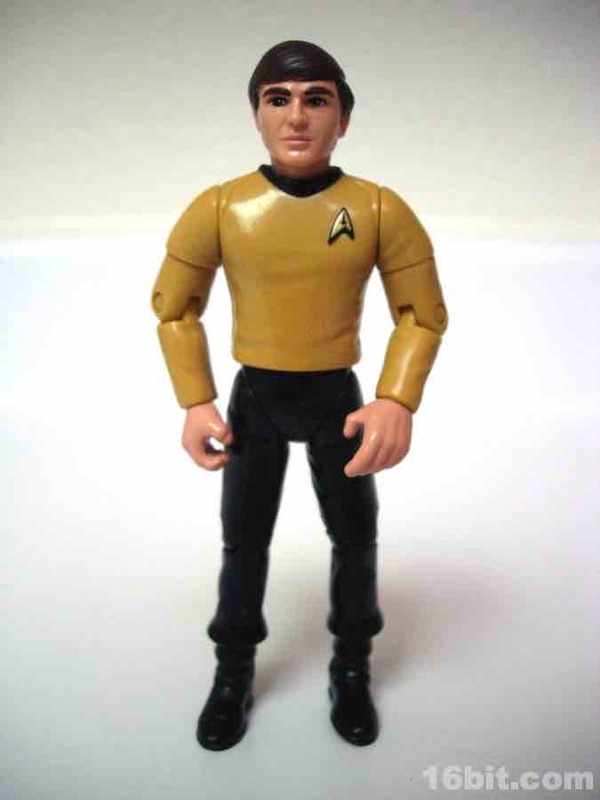 I've got one of the Diamond Select Chekov action figures, specifically because my employer got the "Mirror, Mirror" version as an exclusive a few years ago. The coloring on the Playmates figure's face feels more toylike and a little more lively, even if the exaggerated proportions and smoothed-over detail may be a turn-off to some fans of hyper-realistic mega-articulated figures. 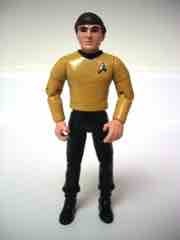 Like the others in this set, Chekov doesn't top 5-inches tall and has but 12 points of articulation. That may not sound like much, but things like knees, swivel biceps, and expressive faces were pretty rare outside G.I. Joe as Kenner was still on their 5-joints-and-that's-it-kick. Chekov's hair, inspired by the Monkees, remains intact although it was toned down and, thankfully, not based on the wig he wore on the show briefly. The coloring is great, he looks really young, and at some angles seems to look a little like his late son Andrew. The painted lips, sculpted eyebrows, and gold uniform clearly show this to be Chekov even if the details are a little exaggerated in places. Armed with a phaser, stand, and communicator, this was a pretty great little release. The boxed set remains a very memorable-- and (at the time) expensive-- part of sci-fi toy collecting in the 1990s, and it's a great way to get a mostly complete series of the TV show crew, minus Rand or Chapel of course. The helm officer may not be perfectly Koenig-esque, but it's pure Chekov. How can you not want this one as part of your collection?